Chiang Mai to Host ASEAN Tourism Forum 2018 in January - What Does TAT Have Planned? 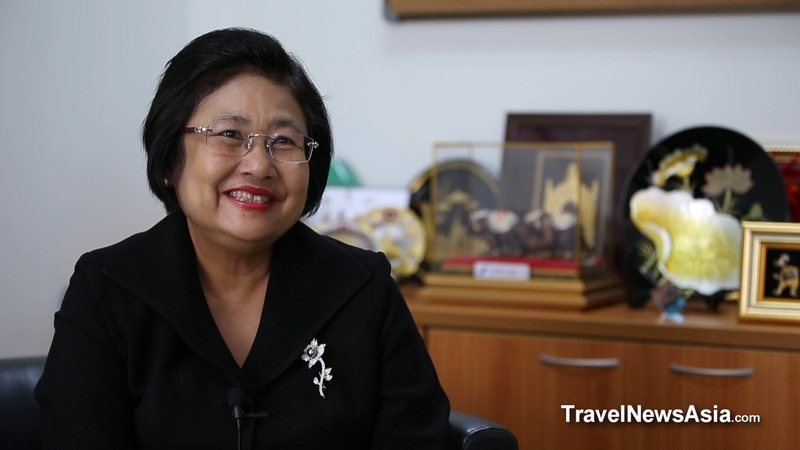 [HD video and podcast below] What does the Tourism Authority of Thailand (TAT) have planned for the ASEAN Tourism Forum (ATF) 2018? Scheduled to take place in Chiang Mai from 22-26 January, with the TRAVEX component on 24-26 January, Dr. Walailak Noypayak, Ph.D., TAT's Executive Director - ASEAN South Asia and South Pacific Region, tells Steven Howard of TravelNewsAsia.com what delegates can expect from the 37th edition of this very important annual travel trade show. The ATF in Chiang Mai will be the sixth time that Thailand has hosted this major event, the last time being in 2008 when it was held in Bangkok. Filmed in Dr. Noypayak's office on 19 October 2017, Dr. Noypayak tells us why Chiang Mai was chosen as the host city rather than more established MICE centres such as Phuket or Bangkok, or even somewhere new like Khon Kaen or Ubon Ratchathani. We discuss numbers and you will learn how many hosted and non-hosted buyers are expected to attend and where they are coming from. We also discuss the sellers, how many are attending, how many are from Thailand and elsewhere in the region, and what TAT has done to reduce the cost for some of the smaller companies in ASEAN so that they too can participate. Dr. Noypayak tells us how TAT plans to use technology at ATF 2018, whether trade shows are still relevant in this much more connected and digital world, and what Thailand is going to promote at the event. You will also learn about the new campaign - Open to the New Shades of Thailand - which TAT will launch at the World Travel Market (WTM) in London in November, and how students will be able to get involved with the ATF when it is on in Chiang Mai. You will also discover which three Chiang Mai dishes Dr. Noypayak suggests all delegates try when they visit Chiang Mai, and what plans they have for the ATF 2018 Opening Ceremony, often a very special and memorable occasion. All that and much, much more in the video and podcast below. See also: HD Videos from ASEAN Tourism Forum 2016 in Manila, Philippines, ATF 2015, ATF 2014, ATF 2013, ATF 2012, ATF 2011, ATF 2010 as well as other, much more recent: HD Videos and Podcasts. See latest HD Video Interviews, Podcasts and other news regarding: TAT, Tourism Authority of Thailand, ASEAN Tourism Forum, ATF, Chiang Mai.